The Encyclopaedia of Music in Ireland (EMIR) is the first comprehensive attempt to chart Irish musical life across recorded history. It also documents Ireland's musical relations with the world at large, notably in Britain, continental Europe and North America, and it seeks to identify the agencies through which music has become an enduring expression of Irish political, social, religious and cultural life. 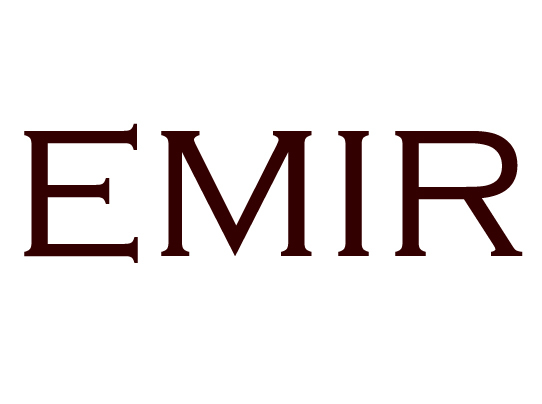 In these respects, EMIR is the collective work of 240 contributors whose research has been marshalled by an editorial and advisory board of specialists in the following domains of Irish musical experience: secular and religious music to 1600; art music, 1600-2010; Roman catholic church music; Protestant church music; popular music; traditional music; organology and iconography; historical musicology; ethnomusicology; the history of recorded sound; music and media; music printing and publishing; and, music in Ireland as trade, industry and profession. EMIR contains some 2,000 individual entries which collectively afford an unprecedented survey of the fabric of music in Ireland.It records and evaluates the work of hundreds of individual musicians, performers, composers, teachers, collectors, scholars, ensembles, societies and institutions throughout Irish musical history, and it comprehends the relationship between music and its political, artistic, religious, educational and social contexts in Ireland from the early middle ages to the present day. In its extensive catalogues, discographies and source materials, EMIR sets in order, often for the first time, the legacy and worklists of performers and composers active in Ireland (or of Irish extraction), notably (but not exclusively) in the nineteenth and early twentieth centuries. It offers to the general reader a regiment of 'brief lives' of Irish musicians throughout history, and it affords the specialist a detailed retrieval of information on music in Ireland hitherto unavailable or difficult to access. Above all, it is (proverbially) encyclopaedic in its address on the plurality and diversity of Irish musical experience. To this end, EMIR represents the single largest research project on music in Ireland to have been undertaken to date. The project has received support from Atlantic Philanthropies, the Irish Research Council, NUI Maynooth, the DIT Conservatory of Music and Drama and University College Dublin.